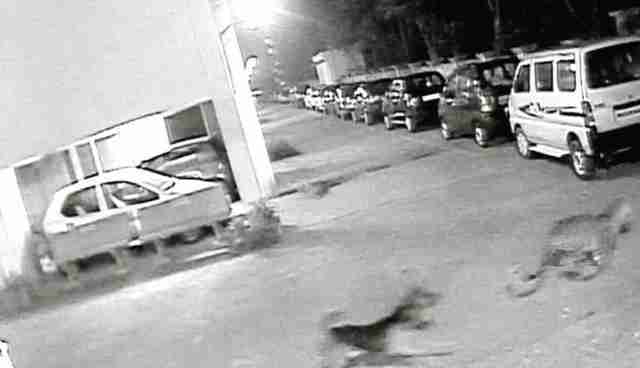 A stray dog is being hailed a hero after chasing off a wild leopard that had wandered onto the premises of a housing complex in the suburbs of Mumbai, India -- averting a potentially tragic encounter with humans. 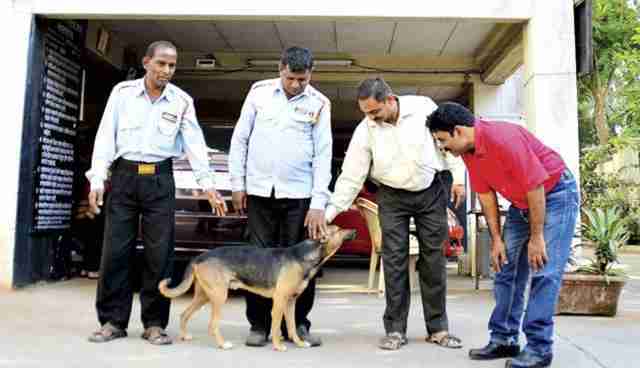 The brave canine, named Rocky, had always been well-liked among folks in the Hill View cooperative housing society, where he began living as a puppy two years ago. But after surveillance footage captured revealed that Rocky may have actually saved someone's life by driving away a big cat that had entered their housing unit last week, residents there are now looking at the animal as more than just a lovable stray. 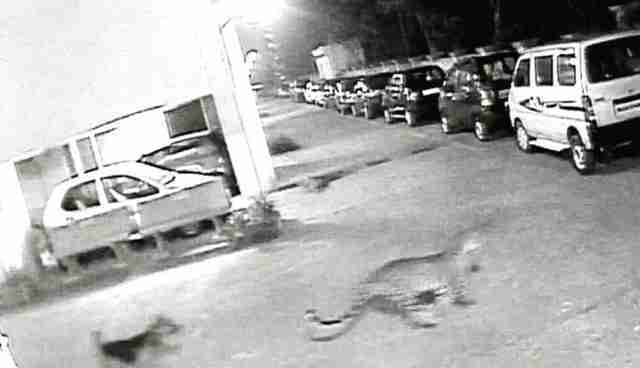 "Running a leopard out of the building is a big task for a dog, and from today, we have decided to call Rocky "Tiger", because only a tiger can chase away a leopard," says resident Rajan Maykekar. Unfortunately, such incidents of leopards entering populated areas often don't end as peacefully. 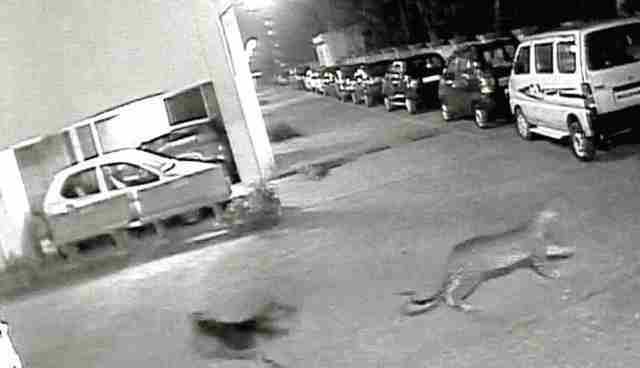 Just last week, more than seven people were injured in the Indian city of Meerut after a leopard wandered into town looking for food. 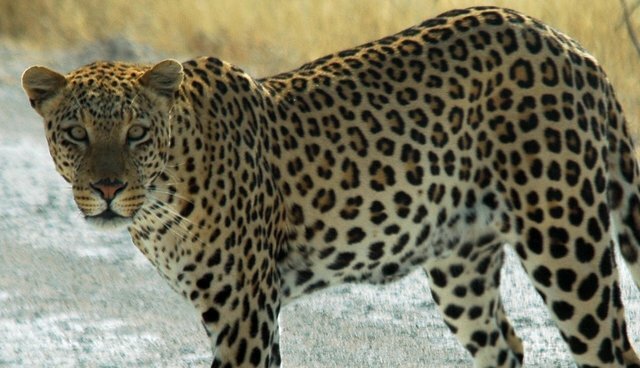 Leopard-human conflicts have become increasingly common as India's population continues to enter further into the big cats' native habitat. "There are many cases where human habitats are encroaching on those of big cats, which are getting lesser and lesser over the years," Jimmy Borah, Tiger Coordinator for the World Wildlife Fund India, tells CNN. "The cats are forced to come out of their habitats to look for food. There is lots of habitat loss and with that food source loss -- it's one of the main problems, which is why they are coming out."